Smells Like Hell, Taste Like Heaven? I’m here in Malaysia as a guest of the Malaysia tourist board. They invited 5 journalist from the USA, and 700 others from around the world to experience their “Colours of Malaysia” Celebration. We arrived on Thursday afternoon, and after a quick shower, we headed out to explore Kuala Lumpur (K.L.). 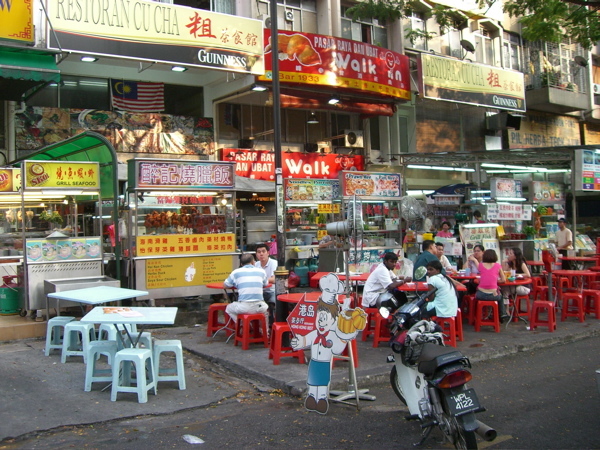 Our first stop was Bukit Bingtang, a bustling area in central K.L.. There, we checked out the crazy street food vendors and tried the icky fruit called dorian fruit. You got to love a fruit that has it’s own tagline, which is: “Smells like hell and tasted like heaven.” One of the journalist treated us to a tasted of the nasty fruit. And I can honestly say that I rather eat Brussels sprouts than this thing. It was horrible – but that was not the worst part! The worst part is that every time I burped for the next few hours, I got reminded of my adventures with dorian fruit. After trying to clean my mouth of the remnants of hell, I decided to treat myself to a reflexology massage. 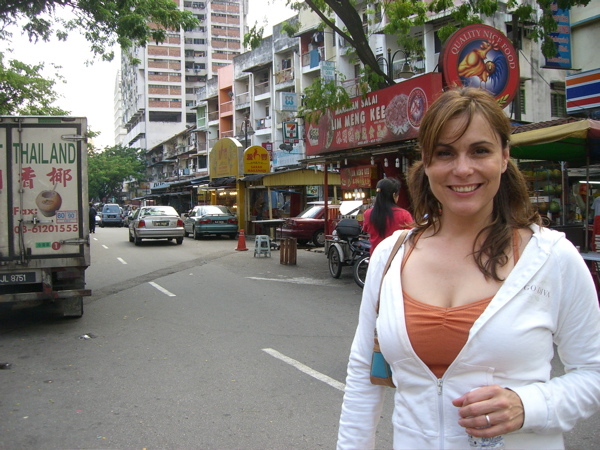 In Thailand they are famous for they incredible Thai massages, and here in Malaysia, they are know for their great reflexology shops that line the street. What a treat! For a half hour, the cost is a whopping 25 RM, which is around $7.00 USD! What a deal! That night, we hooked up with a Tango Diva member who lives in K.L. Her name is Sya and she is a true jet setting Diva! Her job takes her form K.L. To London regularly, and she love traveling solo. We met up at our bar at Hotel Maya. It is on the 13th Floor and has incredible views of the Twin Towers. Alex, a fabulous British ex-pat living in K.L., who I met on the plane joined us as well. We hit a few of the hot night spots in town, ending at the fantastic Zeta Bar in the Hilton Hotel. That place was a scene! It was packed with beautiful people and the live band was rocking the place. It is a must if you visit K.L. Oh, just a warning about partying K.L., because it predominantly Muslim, alcohol is really expensive here. A round of drinks for 4 people set me back around $60. I think I am going to stick with feet massages!